The Institute provides benefits to students, faculty and staff encompassing the humanities, social sciences, physical, biological and agricultural sciences, as well as those from our professional schools, such as business, education, law, veterinary medicine, pharmacy, public health and environmental design. We provide classroom and practical experience and thoughtful discourse to students, undergraduates and graduates. We engage in original, collaborative research among faculty, and we encourage and support outreach/service learning opportunities for all with respect to Africa. The African Studies Institute offers an undergraduate Certificate in African Studies and an undergraduate Minor in African Studies. In addition, the Institute supports the Minor in African Languages and Literatures and the Program in African Languages, Cultures and Literature in the department of Comparative Literature. Come see us, email us, visit us on Facebook, follow us on Twitter, or simply visit our website. We hope you will join us in further strengthening the African Studies Institute at the University of Georgia. 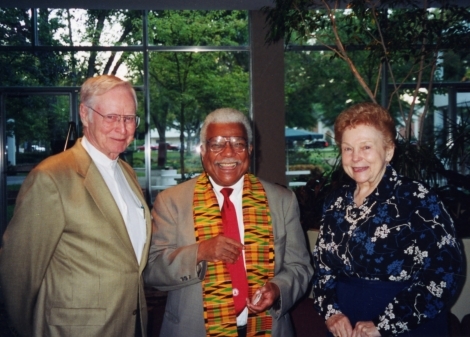 The lecture series was established in 1992 in honor of Dr. Darl Snyder for his dedication, research, and service learning programs in Africa. 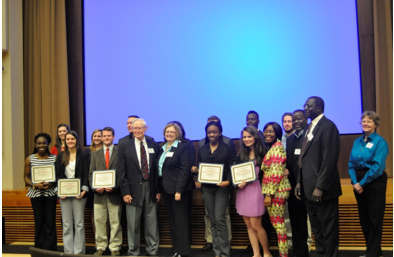 The event is an annual opportunity to bring accomplished scholars in African Studies to The University of Georgia campus.